Our staff’s engagement in our professional work is clear. We are a team dedicated on both professional and personal levels, and we are committed to a high standard of clinical work when interacting with all of our learners. This high level of commitment is evidenced by the number of our staff members who voluntarily choose to pursue certification as BCBAs, BCaBAs, and RBTs. (As of April 2019, we are proud to report that we have 5 BCBAs, 4 BCaBAs, and 6 RBTs on staff. Further, we have four candidates that are currently completing the coursework, supervision, and other requirements towards credentialing). We pride ourselves on having a very low staff turn-over rate. Further, we regularly take on students from the Autism and Behaviour Science program or related disciplines, to help build the capacity for therapist resources in our region. Please see the biographies of our senior staff below. Lynne Thibodeau has a Master of Education degree and is a Board Certified Behaviour Analyst. She is a parent co-founder of Spectrum. Lynne has been working with children and young adults diagnosed with autism for 20 years providing clinical supervision to teams of BCBAs, BCaBAs, Senior Therapists, and RBTs/instructor therapists; providing supervision to candidates seeking credentialing through the Behavior Analyst Certification Board (BCBA, BCaBAs); staff training, parent training, and workshops in the community. Her hands-on approach allows her to share her vast knowledge and experience with all Spectrum staff. She has a reputation in the community as a strong, caring advocate for families touched by autism. Throughout her career, she has helped develop and supervise programs for approximately 1500 children and youth. She is the Chair of the Advisory Committee for the Autism and Behavioural Science Program at Algonquin College. She is a member of ONTABA, and QcABA, and ABA International. Kristen M. Copeland, BCBA, M.A. 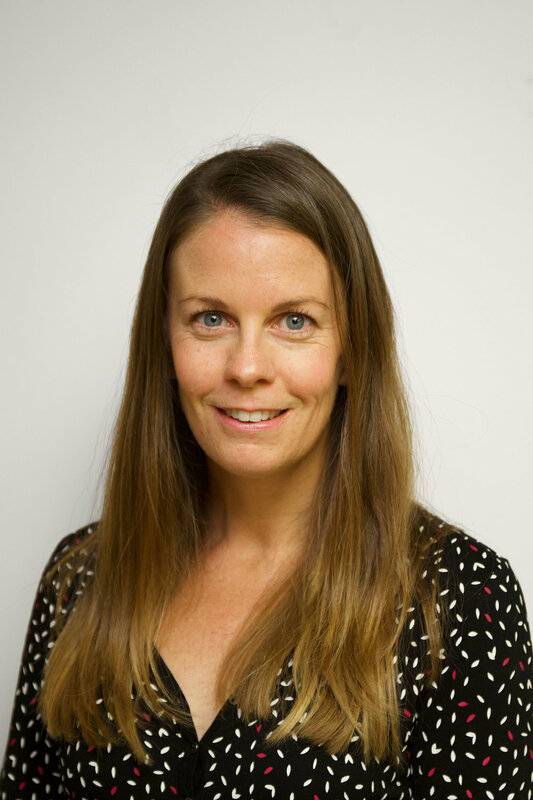 Kristen has been working in the field of applied behaviour anaylsis since 2002 and has been a Board Certified Behaviour Analyst (BCBA) since 2008. She received her Master of Arts (Psychology) and Bachelor of Arts Highest Honours (Psychology) from Carleton University. She has also completed Pennsylvania State University’s Graduate Certificate in Applied Behaviour Analysis for Special Education (ABA) and 1500 hours of mentorship from Siri Ming, BCBA. In addition, she is a member in of ONTABA, QCABA, Association for Professional Behavior Analysts (APBA) and ABA International. Kristen is experienced with working with verbal and nonverbal learners of all skill level aged 2-24 in Ottawa and the surrounding area as well as internationally. While Kristen loves working with children of all ages, she is passionate in using the science of ABA to enhance the lives of teenagers and young adults. She creates functional programs for learners over ten to teach critical life, communication and community skills. She is dedicated to helping each learner reach their full potential and live as independently as possible. Emily received her BCaBA certification in December 2014. She completed the required coursework sequence to obtain her BCaBA through the Applied Behaviour Analysis program at Florida Institute of Technology. She graduated from the University of Ottawa with a BA, majoring in Psychology. She has been working in Ottawa, with children with autism since 2004 and has been involved with Spectrum Intervention Group since 2005. She has had the opportunity to work with a wide range of learners in the centre, in homes and in classroom settings during both 1:1 and group instruction. Through the years she has gained experience as an Instructor Therapist, Therapist Trainer, Team Leader, and now currently as a Senior Therapist. Emily also has the pleasure of being involved in community education by presenting ABA workshops for parents and professionals in the Ottawa/Eastern Ontario area along with Lynne Thibodeau. All of her work has been guided under the consistent and ongoing supervision of Clinical Supervisor Lynne Thibodeau, BCBA. and Kristen Copeland, BCBA. Emily shows dedication to her career through ongoing professional development, by attending many workshops on a wide range of ABA related topics. A BCaBA since March of 2014, Anne, has been working in the field of ABA since 2006. Involved with Spectrum Intervention Group for much of this period, she has had the opportunity to work with a variety of learners ages 2 to 16 in home, school and social group settings. Throughout her career, she has gained experience as an Instructor Therapist, a Therapist Trainer, a Group Therapist and now works as a Senior Therapist. Her work has been supervised by both Lynne Thibodeau, BCBA, and Kristen Copeland BCBA. Anne is dedicated to the continuous learning and development of the children she works with. Her commitment to quality programming has led her to pursue continued education in the field of ABA and she is enrolled in the Master of Professional Education, Applied Behaviour Analysis program at Western University. She also regularly attends workshops, and collect continuing education credits in ongoing professional development. Stephanie has worked in the field of ABA since 2006 and has been with Spectrum Intervention Group since 2008. Congratulations to Stephanie who became a BCBA in March of 2019. She has worked as a Senior Therapist at Spectrum since 2012, supervising a range of programs over the years in both at-home and in-centre settings with learners aged 3-14 years old. Stephanie currently holds an undergraduate degree in psychology as well as a Masters degree in Educational Counselling (M.Ed) from the University of Ottawa. Her dedication to the field of ABA led her to complete the Applied Behaviour Analysis certificate course sequence from the Florida Institute of Technology as well as 1500 supervisory mentorship hours from Lynne Thibodeau, BCBA. Stephanie is dedicated to maximizing the potential of each of her learners through individualized programming and collaborative goal setting with the families she works with. She is committed to providing socially significant, quality care to her learners and is committed to making a difference in the lives of the children and families she serves. Laura has been working with children, youth and adults with disabilities since 2009, and she has been working with Spectrum since 2011. She graduated with honours from the University of Ottawa, majoring in Psychology, and she completed the coursework component of her certification through the Florida Institute of Technology. Laura obtained her BCaBA (Board Certified Assistant Behaviour Analyst) certification in 2016. All of her work as a senior therapist is jointly supervised by Lynne Thibodeau, BCBA and Kristen Copeland, BCBA. Jackie completed her BCaBA in July 2014. She obtained her B.A. from University of Toronto and followed this education with a Teaching Degree from University of Ottawa’s Bachelor of Education program in 2004. She has worked as an ABA therapist and, later, Senior Therapist in Ottawa since 2003. Jackie is a Senior Therapist for Spectrum Intervention Group in-centre programs. Her experience in providing services to a variety children both at home and in-school settings as well as implementing programs ranging from basic learner curriculum to advanced programming has been consistently supervised by Lynne Thibodeau, BCBA. Jackie is deeply committed to both education and the field of autism and advances this passion through ongoing training and regularly attending workshops. She has also completed graduate level coursework in Applied Behaviour Analysis through Brock University. Jackie is also actively involved in community education initiatives by presenting ABA workshops for parents and professionals in the Ottawa/Eastern Ontario area in co-operation with Lynne Thibodeau, BCBA. In addition, Jackie has been involved in Algonquin College’s Autism and Behavioural Sciences (ABS) curriculum redevelopment team, followed by supervision of student placements and course facilitation within the ABS program. Within the clinical setting, Jackie provides ongoing assessment and supervision of Registered Behaviour Technicians (RBT), and is responsible for developing and completing the initial and yearly competency assessments. Tasha has worked in the field of ABA since 2014 with Spectrum Intervention Group. She recently became a BCBA in March of 2019 and has been working as a Senior Therapist since September 2018. Tasha currently holds an undergraduate degree in psychology as well as a Master’s degree in Education from the University of Ottawa. She then completed the coursework component of her certification through the Florida Institute of Technology as well as 1500 supervisory mentorship hours from Lynne Thibodeau, BCBA and Kristen Copeland, BCBA. Tasha has worked with individuals aged 4-24 and has a passion for providing adult services and integrating adults into the community. Tasha is also involved in Algonquin College’s Autism and Behavioural Sciences (ABS) program through the supervision of students during their placements within the clinical setting. Debbie has been involved and worked with children who have autism for over 10 years. To understand more about disabilities and specifically autism and related disorders she completed a post-diploma certificate in Positive Behaviour Support (PBS) through Algonquin College in 2005. Determined to learn more about Applied Behaviour Analysis (ABA), she pursued a Master in Applied Disability Studies Applied Behaviour Analysis (MADS) from Brock University in 2011. Debbie has attended a number of workshops in both Canada and the United States to maintain current with research, techniques and practices in the autism community. She has been an active member of the autism community as the co-owner of the autismsupportOttawa list with Lynne Thibodeau. In 2002, Debbie created the Directory of Services for Individuals with Autism which lists information and services available in the Ottawa region along with contact information to access these services. She updates the directory on a regular basis and sends it out to the autismsupportOttawa list members as well as area professionals who provide it as a resource to their clients. She is dedicated to providing information about services available to families and is recognized as an advocate in the autism community. Debbie has worked with children ranging in ages from 3 to 16 with autism and related disabilities since 2005 as an ABA therapist. Most of her professional work has been supervised by Lynne Thibodeau, BCBA, M.Ed and Kristen Copeland, BCBA, MA. As a parent of two young men on the autism spectrum, she also brings a unique understanding and appreciation of the challenges faced by families who have children with autism. Jennifer has been working in the field of applied behaviour analysis since 2003. She completed her Bachelor of Arts (Psychology) from University of Ottawa in 2009. She also has a diploma from the full-time photography program at the School of Photographic Arts: Ottawa in 2010. Jennifer has been a group facilitator at Spectrum since 2012. She runs many different after-school groups for young adults including Leisure Quest, TAG, Employment Readiness Program, COMPASS and GPS. She continues to use her creativity and problem-solving skills to enhance learning opportunities for individuals between the ages of 10 and 25. We are proud of our team of dedicated and caring RBTs/Instructor therapists, who are highly trained and well supervised. Most of our Instructor/Therapists on staff are now Registered Behaviour Technicians (RBTs), or they are completing the coursework sequence for BCBAs or BCaBAs. All Instructor/therapists who are now listed in the Registered Behaviour Technician Registry (as part of the www.bacb.com) will have the RBT credential listed beside their names. Most of our staff also have a bachelor’s degree, usually in psychology or a related field. Many also have additional certifications, such as the Autism and Behavioural Science college program. Spectrum has a comprehensive training program for all new staff that ensures that they understand the principles of Applied Behaviour Analysis, and that they are employing the most up to date teaching techniques, in helping our learners achieve their full potential.